Tourists and shoppers throng Nathan Road. But life is very different in the densely populated blocks down to the site of the former Jordan Road pier. In the day, elderly Chinese men lean on their canes, sitting in Jordan's small public parks, while shrieking children play. At night, as the market stalls and dai pai dong start to close down, and the traffic on the overpasses slows to a dull hum, the local Nepalese community, one of the fastest growing minorities in the city, moves into the parks and street corners. Sameer and his friends are drinking, smoking and joking around while others huddle in the shadows, doing drugs they dole out of small plastic bags. "We are here every day after work," said Sameer, a 16-year-old Nepali who has dropped out of school and works at his parents' roadside snack shop. "It's all right." It is a scene that Martin Radford, director of Inner City Ministries, described as a gangland. "Drug addiction is very high. Young men can quickly become a part of gangs and there is gang rivalry that occasionally spirals into violence," says Radford, who runs tutorial and vocational programmes for ethnic minorities. "It's something to do; it gives them a sense of belonging and sense of status as well as protection," he said . Most of the Nepalis are the children and grandchildren of Gurkha soldiers, fierce fighters who served the British Army from 1814. In 1948, after Indian independence, the British sent the Gurkhas to the New Territories, where they carried out security duties and border patrols. Before 1997, soldiers and their families lived in army barracks in areas such as Happy Valley, Stanley and Shek Kong. After the handover, the Gurkhas were eventually offered Hong Kong residency, and many moved to areas such as Jordan for the affordable rents. But the military men could not find well-paying jobs in the city and unemployment ran high. "I was born in the Shek Kong army camp," said a young Nepali mother whose family of five now lives in a 150 square foot apartment. The family sleeps side by side on bunk beds in one windowless room. Her husband supports her and their three sons by working long hours as a security guard. Official figures put Hong Kong's Nepali population at 13,000, but Professor Maria Tam Siumi of Chinese University said it should be closer to 40,000, many of whom live in Jordan. Many of the Nepalese work as guards, in kitchens or as waiters and bartenders, said Caroline Simick, a community worker from India who has served the population for the past 12 years. "In many families, both parents each work two jobs and are rarely home, leaving the children without adult supervision. They stay outside until late at night. They have nowhere to do their homework," Simick said. Simick, a devout Christian without children of her own, is a motherly figure for the neighbourhood's destitute youths. As she walks through the crowded, narrow streets, wrecked young men amble up, telling her they are hungry. She buys them rice from tiny shops selling deep-fried fast food. "They live downtown," she whispers. "Downtown" is a triangular patch of grass under a bridge on Austin Road, where heroin addicts sleep in makeshift tents and soiled blankets. "Drug pushers get the ethnic minority teenagers to sell drugs in local schools, because if they're caught, they won't be sent to prison for life. They'll go to juvenile detention," said a local manager at an organisation that works with ethnic minorities. "Less than one per cent of ethnic minority students get into tertiary education, so they lose heart and just want to make money." Puja Kapai, a Jordan resident who teaches courses on law and multiculturalism at the University of Hong Kong, said minority children could not keep up in mainstream schools without support to help them learn Cantonese. 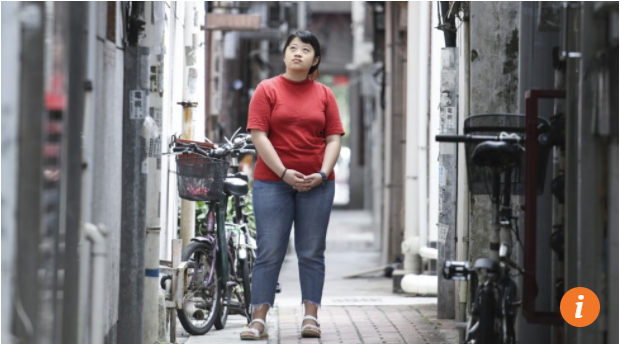 "When they do not have equal access to opportunities in Hong Kong, it's inevitable that an underclass would emerge," she said. Mrs Chan, 64, who has lived in the neighbourhood for 22 years, said more Nepalese had moved to Jordan in the past decade while more Chinese residents have moved out, going to live in public housing or to areas with lower rent. "The young men sit around, get drunk and get into fights. It is very noisy. But they're not all bad. Like the family that owns this sari shop. They're very good to me. They respect their neighbours," she said. An entrepreneurial spirit is vibrant among the Nepalese, where friends and family members pool their money to open grocery stores, restaurants, internet cafés and beauty salons. "We're open 360 days of the year," said Gurung Lachiman, 34, a sari shopkeeper whose father was a Gurkha. "Our customers are mostly Nepali and Indian, but some Chinese like to buy sari fabric, too." But the neighbourhood is about to be redeveloped. Luxury high rises are already being built near the site of the Kwun Tong line extension, which is scheduled to open in 2015. "My rent rose from HK$10,000 to HK$13,500 this year," said Lama Mima Sambu, a beauty shop owner who saved up her wages from working two jobs for 10 years to open her salon on Canton Road. Parents pressed for cash are increasingly allowing their children to leave school early to work. Even the youth who have managed to avoid drugs and stay in school seem to have accepted their dreary futures. Sushant, 15, is playing football on a cold, rainy night with friends at King George V Memorial Park. He does not go home until 9pm most nights. "If I finish high school, I will work in the subways. I will make money. It is practical," he said. Local primary students have no problem reading and writing the Chinese characters for common words such as "mushroom", "pumpkin" or even "universal suffrage". Not so for Pakistani girl Igra Khan, who is in Form Three. Although she followed her mother to Hong Kong when she was 10 months old, Khan is lagging behind her local peers in Chinese-language skills. She can speak the language fluently owing to her mingling with local children in school, but her reading and writing is weak. The importance of the language in Hong Kong means ethnic minority students like her have a bleak future, with little hope of getting into local universities. A survey carried out by the Equal Opportunities Commission last year showed that students from South Asia, such as Pakistanis and Nepalis, accounted for 3.2 per cent of primary school pupils, but only 1.1 per cent of senior secondary students and 0.59 per cent of tertiary education students. Their under-representation in local higher education has caught the attention of the United Nations Human Rights Committee. At a meeting in March, it urged the Hong Kong government to implement the recommendation of the Committee on the Elimination of Racial Discrimination to "intensify its efforts to encourage the integration of students of ethnic minorities in public school education" and to report back within one year. More than 10,000 ethnic minority pupils study at mainstream primary and secondary schools, and at schools that cater specifically to them. The 31 "designated" schools offer a much simpler Chinese curriculum than mainstream schools because of students' diverse Chinese-language levels. Local families often shun these schools, worried that their children will be exposed to negative influences from, for example, perceived behavioural problems of children from ethnic minority families. The large curricular gap, many believe, keeps South Asians at the bottom of the socio-economic ladder. Khan's 18-year-old sister, who moved to the territory at the age of 10, had so much trouble learning Chinese that she quit school altogether. She now works at a laundry. Many believe in the necessity of a more advanced curriculum that offers systematic training in Chinese, backed by proper assessments and clear learning objectives, to help students like Igra and her sister come to grips with the language. But that requires support from the government, including the provision of teacher training. "Many schools like ours want to see a curriculum that reaches the level of Form Three. That would allow students to understand newspapers and office documents. The standard of Chinese in the Hong Kong Diploma of Secondary Education examination is too high for non-Chinese speakers," says Ho Sau-yin, principal of Islamic Kasim Tuet Memorial College. Her school prepares students for the British General Certificate of Education (GCE) examination in Chinese -- the level of which is only equivalent to Primary Six to Form One in mainstream schools. Such a standard is hardly enough to get one into university or qualify for a job as a civil servant. At present, the teaching of Chinese varies among designated schools owing to limited resources, adds Fermi Wong Wai-fun, the founder of rights organisation Unison. Some South Asian students, frustrated with their lack of competency, have dropped out of school. "Many have come to us seeking help in finding jobs," she says. "They have only finished Form One or Two but have lost interest in learning. They lacked support in learning Chinese even when they were in primary school. Some came to the conclusion that they are not fit to be educated, but that is not true. There is a problem with the system. Talent is being wasted. The provision of Chinese learning in some schools is illogical, sometimes giving K3 material to students at P4 level." Thas Mohamed -- a second-year Indian student at the Hong Kong University of Science and Technology who attended an international school and a local private primary school -- had his recent application for internship at Microsoft rejected because of his lack of Chinese-language skills. At primary school, he took Chinese as a third language. "There was not much reading to do," he says. "I did not really think much about whether I needed it before, but now I'm at university, I am trying to learn Putonghua by taking courses." In Igra's case, lacking support from her family, she failed at Chinese dictation at a mainstream primary school. At the end of Primary Six, she had the option of going to a Band Three government school (the poorest in academic standards in the government sector) but decided to attend a designated school instead as her mother was worried about discipline problems there. Wong and others have warned about lingering inter-generational poverty among South Asians and resulting social problems if there is no remedy to the situation. Some Indian women dropouts, she says, get married at a young age and face an even heavier burden from their new families and, in some cases, abuse by their husbands. Census statistics from 2011 show that among all working non-Chinese males, Pakistanis and Nepalis had the lowest median monthly income -- of HK$10,000 and HK$12,000 respectively -- against a median of HK$13,000 for the general Hong Kong working population. Director-general of Oxfam Hong Kong, Stephen Fisher, says about one in seven South Asians are on social security. "Many of those who work are construction workers, security guards or goods deliverers. The girls work in restaurants." He echoes Wong's call for the government to help ethnic minority students get equal footing in their pursuit of further education and, eventually, gainful employment. "Many of them can speak but not read or write the language. Since the handover, the government has upheld the bilingual language policy requiring all civil servants to be proficient in both Chinese and English. But the GCE A-level score obtained by ethnic minority students does not reach the standard required." He also lambasts the government for failing to acknowledge the need to help the students overcome their handicap. "In most cases they are concentrated in designated schools; occasionally there are one or two who make it to a Band One school. Overall, many in secondary schools drop out in Form Three. The current system is not just and is creating poverty," he says, calling the existence of designated schools a form of discrimination. Wong, the veteran rights campaigner, urges the EOC to investigate the problem. "What is lacking now is political will and an equal concern for all," she says. The government has determined that pouring hundreds of millions of dollars into Chinese-language education for ethnic minority students will open the door to tertiary education and white-collar employment. I have serious doubts that it will. The minorities in question were not, themselves, consulted as to their needs. Frontline teachers were also not asked for their input into the challenges faced by their students. None of my students have ever been interviewed about the difficulties they face. Much of the policy appears based on the message repeated by the well-meaning NGO Unison that the main obstacle to success for ethnic minority students is Chinese language ability. I disagree, and believe that there has never been a real and sincere effort to offer ethnic minority students the holistic education they deserve as supposed equals in Hong Kong. As a teacher of ethnic minority students, I have classes where spoken Chinese ranges from very basic to fluent. Reading and writing abilities vary as well. However, many of my students are failing a host of subjects, including maths and liberal studies, two core subjects. What is the government doing to help them with these requirements? Students face a number of potential challenges besides succeeding academically: poor peer influences; low expectations from family and school; no mother-tongue support in school; little recognition of their cultural identities; discrimination by other students; a curriculum which does not interest or reflect them; and a sense that the education system is stacked against them. Is the government even aware of the enormity and complexity of the situation? One cannot argue that Chinese is a must for all Hong Kong students attending local schools. But the government appears to have fashioned a simplistic response to the question of how to help ethnic minority students succeed in school and in Hong Kong. Throwing cash at the problem does not work. The focus should be on gathering stakeholders and helping schools to fashion challenging curricula that motivate ethnic minority students to continue with their studies while recognising their particular needs. In the first in a two-part series, Mark Sharp looks at the legacy of the Gurkhas and how the Nepalese community is preserving it. When the city marks the Ching Ming festival next week, Chinese families won't be the only ones honouring their dead. The local Nepalese community will observe Purkha Diwas, or Ancestors' Day, by gathering at the Gurkha Cemetery in San Tin Barracks. Purkha Diwas is a rare gathering of Gurkha clans - Gurung, Limbu, Magar, Rai, Thapa and other lineages - and helps the younger generation learn about their history and culture. Visits to the cemetery in Yuen Long are uncommon because, since the British handed the barracks over to the PLA in 1997, its gates have been locked. Permission to visit must be sought from the Commonwealth War Graves Commission and the Security Bureau. "There should be a private road so we can go there freely," says Amod Rai, a school liaison officer and secretary of the Gurkha Cemeteries Trust Hong Kong. Rai says Purkha Diwas is a chance for Nepalis in the city to come together and discuss their ancestors' legacy and values. "We hold various activities like photo exhibitions, and we publish a memorial book. It contains a lot of information; for example, about the Gurkhas' contribution in the first and second world wars and their families back in Nepal," he says. Dhiraj Gurung, a part-time schoolteacher and research assistant at Chinese University, says: "One good thing about Purkha Diwas is students write poems expressing gratitude, and some recite them. It's like an integration of literature and our culture." The Gurkhas, whose motto is "Better to die than be a coward", have served on the front lines of almost every British Army conflict in the past 200 years, and are famed for their bravery and loyalty. They first arrived in Hong Kong from Malaya in 1948 on rotation during the communist insurgency known as the Malayan Emergency. The city became their home base in 1969-70 when their training depot was relocated from Sungai Petani, in Kedah state, according to local historian Jason Wordie. The troops patrolled the border checking for illegal immigrants entering the territory, most crucially during the turbulence of the Cultural Revolution. They were deployed to contain crowds during the Star Ferry riots of 1966, during a time of dissatisfaction with colonial rule. In November 1996, seven months before the British handed Hong Kong back to China, most of the last 707 Royal Gurkha Rifles here left their barracks and the Nepali troops' base moved to Britain. But soldiers and their families here had been granted permanent residency, and many stayed. The city's Nepali population today numbers about 30,000. Despite being bona fide Hongkongers, however, some feel that their part in the city's history is being lost. Wordie says he knows of no mention of the Gurkhas in the Hong Kong History Museum. One of the few visible traces of the Gurkhas left today is the 100-kilometre MacLehose Trail, which was originally a training exercise for the troops. But their name is not associated with the trail. Khimding Ratna, who retired from the Gurkhas in 1993 after 12 years of service here, believes the Nepalese soldiers are being forgotten intentionally. "I feel sad because I still remember how we were respected as Gurkhas in Hong Kong," he says. Most of the younger generation have little knowledge about their ancestry and homeland because they are not taught about it even in schools that cater to ethnic minorities, says Dev Raj Rai, who produces community radio programmes, writes a blog and has published five Nepali-language books on the Gurkhas. Carlos Soto, who teaches ethnic minority students part time at CMA Choi Cheung Kok Secondary School in Tuen Mun, agrees that the Gurkhas are overlooked. "Even though the secondary school where I work has a large population of Nepali students, the topic of Gurkhas is nowhere to be found on its formal curriculum. But there are some teachers of Nepali descent who organise activities for their students." Soto is introducing his Form Two students to George Orwell's Nineteen Eighty-Four. They are discussing the "memory hole", down which the Ministry of Truth discards inconvenient historical documents. "How else can you change history," he asks? "How about just forgetting things; ignoring them as if they never existed? If we do this to the Gurkhas, where have we put them?" "In the memory hole," the students shout out. Form Three student Chris "Kiru" Rana hopes to see his ancestors recognised for their role in the world wars. Chris, 16, whose grandfathers were Gurkhas - one a medic, the other an engineer - says: "They were paid a third of a normal British soldiers' income, but still served loyally in armed combat. I would like to see equal rights for them … even a small monument for the soldiers who died in the countries they fought in would be a sign of their existence and their hardship during the wars." Although no Gurkhas died in active service in Hong Kong, the city was their base and the idea of a memorial is gaining traction in the community. Amod Rai says they are asking the Commonwealth War Graves Commission to help have one erected at the Gurkha Cemetery. On a recent Sunday, he and Gurung joined Soto to run a workshop for Nepali students to design such a memorial. The children's drawings will go on display at Purkha Diwas. Students were shown images of memorials, learned about Gurkha history and spoke with visiting Gurkhas veterans. "I wanted students to think about words that are important in describing Gurkhas, as well as the importance of their everyday lives, their wives and families and lives after retirement," Soto says. To preserve the Gurkhas' story in Hong Kong, Ratna says, "We should start to collect views and experiences. All the facts should be preserved and written down in Hong Kong history … to let youngsters know who the Gurkhas were and what they did for Hong Kong people." Even better, community members say, there should be a Gurkha museum in the city. Dev Raj Rai would like such a museum to tell the story of how and why the Gurkhas came here, as well as "their contribution to Hong Kong, their army life and family life during British Army service. Besides this, I want it to be an international museum, which can include first and second world war Gurkha history, too." More than 250,000 Gurkhas served in the second world war alone, in places as diverse as Burma, Italy and northern Africa, and about 23,000 died. Some 2,000 awards were earned by Gurkhas for their bravery. "There were a lot of regiments; there are a lot of broad aspects we can cover," Amod Rai says. "We also want it to show how the Gurkhas contributed to freeing the world from dictators, even if it was not for our nation, but the world." Artifacts suggested for the museum include uniforms, medals, weapons - such as the dreaded curve-bladed kukri - photos, letters and, perhaps more poignantly, their stories. Retired captain Namsing Thapa has many tales to tell. He joined the Gurkhas' Boys Company at the age of 13 or 14, and started out at the training centre in Sungai Patani. He earned just 45 Nepalese rupees a month. A few years later, in 1962, he was transferred to Hong Kong and his wage rose to HK$60 a month. Thapa was among the first Nepalis to represent their country at the Olympics, in Tokyo in 1964. The flyweight boxer's achievements - including his victories in the ring at regional army barracks - were the subject of several stories in the South China Morning Post at the time. He was even invited to become a professional boxer, but declined. Thapa recalls a difficult life as a boy in the ranks in Malaya. "I still remember we were given three ounces of meat that had to last us for a week; and an orange or an apple - just one in a ration for a week." From Hong Kong, he says, it could take six months for his wife back in Nepal to receive his letters. On arrival in the capital, Kathmandu, they had to be delivered to the soldiers' remote mountain villages. There, a reader was required if the wives couldn't read or write. The Leisure and Cultural Services Department, which manages the city's museums, did not respond to questions about the relevance of a Gurkha museum in time for publication. Historian Wordie disagrees with the idea of a museum. "They were not part of 'the community' and were deliberately kept apart from it, so they could be used in aid to the civil power if necessary. I don't think there is any reason or justification for having it." However, descendants of the Gurkhas argue that they had no say in where they were brought up. A museum in the city, therefore, would enable them to remember their roots and culture, give the younger generation a sense of their identity in the city, and share their heritage with fellow Hongkongers as a way to better integrate into local society. "Being the grandson of a Gurkha, I still feel proud that my grandfather was here," Gurung says. "My father was born here, and I feel bad because no one talks about their contribution here. Why should we be thought of just as an 'ethnic minority' and people from the lowest social economic status when we contributed something? We also have our dignity here." There is a lost generation on Hong Kong's Nepalese community. Middle- aged and older Nepalese make a living, maybe not a good one, largely in unskilled trades, but one that gives self-respect and keeps the wolf from the door. The very young, who are just starting out on their life's education, are at last beginning to benefit from government programs giving them extra Chinese schooling to bring them closer to a par with the majority of the population. In between lies a generation born before the government recognized the danger that a lack of Cantonese and written Chinese was creating a permanent underclass, a generation that was either schooled to an inadequate standard in Hong Kong, or was sent back to Nepal to study. The result has not been good. Young Nepalese people have returned from Nepal armed with masters degrees, even doctorates, only to find that the only options open are the hospitality, construction and security industries. Those who attempted the Hong Kong education system mostly did not find it possible to compete in Chinese languages and so remain largely unqualified. The very large majority of the young Nepalese men and women who are permanently residents here just get on with this and make the most of it. Those who never make the newspapers but whom we meet every day across Hong Kong now do what their parents did, which is to work for the future of their children and to put up cheerfully with their lot. Most possess the characteristics of their soldier fathers or grandfathers, who protected Hong Kong from the 1960s to the handover. Most have the toughness, good humor and strength of character to be able to cope with life here and to contribute to Hong Kong. As always, though, there are those who do not cope. The young Nepalese men arrested on September 25 after a gang fight that led to a death in Yuen Long are the latest of these to come to light. The community has problems that need to be addressed. Many of these young men have lost the aspiration of achieving a better life. Casual labor on construction sites leads to large incomes over the short term, money that can be spent swiftly on drink, drugs and gambling, but it leads to sudden layoffs and time spent idle between jobs. Behind this are the fractures that appeared in Nepal's hitherto law-abiding and mutually respectful society under the strains of two decades of civil strife in Nepal. This is over now, but the crime, intimidation, violence and loss of trust that occurred then in Nepal have not gone away. Young people raised in Nepal in those decades come from a society where fear was endemic. In Hong Kong, those problems have been accentuated by the breakup of families. Young people are often on their own. If their parents are here they are usually working 10 - or 12 -hour shifts and unable to spend much time with their children. In many cases parents are not here at all, either having emigrated to the United Kingdom, where their older children were ineligible to follow them, or having returned to Nepal. It is relatively easy for young people in such circumstances to drop out. That most do not is a credit to the majority of the Nepalese community in Hong Kong, but we need to face the fact that some young Nepalese men are living rough under flyovers, abusing illegal substances and alcohol, and turning for support to gangs of others like them. There is no panacea for these problems. The cultural and linguistic canyon that divides these young people from society in Hong Kong is a wide one and will not be easily bridged. Whatever approach the government takes will inevitably be an inter-departmental one, for the police and the courts, the social and health services and the educational establishment alone cannot provide answers. It is clear, however, that this problem is not going away. It will be 30 to 40 years before the ill effects of what has been allowed to transpire in this generation fade away. It is well worth it, then, to try to ameliorate this problem now. Meet the class of ’97, born the year of the handover. Their childhoods tell the stories of Hong Kong’s first two decades after the return to China. Some remember Sars, others took part in Occupy. Now, they’re trying to work out what their future holds – and how Hong Kong’s own uncertain future fits into their plans. “My parents are from Nepal and I was born in Tuen Mun Hospital. At home, we speak three different languages, Nepali, Cantonese and English. I also know a little Mandarin and I studied with local students from kindergarten to primary and then secondary school. “I see myself as someone with multiple ethnicities, but if you say you are Chinese or a Hongkonger this is not accepted because no one in your family is ethnically Chinese. When I was little I thought I was Chinese and translated things for my mother, and although people were impressed they still saw me as a foreigner. “Such experiences made me feel like I did not belong here. “My parents did not really think about whether to leave or stay in Hong Kong when the handover happened. They only thought that the education system here was better than in Nepal, and I would have a better future growing up here. “As for me, I am a little bit scared about the future, because people say that in China the internet is limited, and people cannot use Facebook. It is a Friday night at Manakamana, a Nepalese restaurant on Temple Street, Yau Ma Tei, and the classics are rolling out from the kitchen. There are juicy chicken momos, a steaming dish of aloo chat, Nepalese-style chow mein laced with coriander, red onions and tomatoes. There are an estimated 40,000 people of Nepalese origin in Hong Kong, about a third of whom live in Yau Ma Tei and next-door Jordan. You notice it as soon as you enter the neighbourhood: women dressed in colourful saris with abundant jewellery; grocery stores with signs in Devanagari script; and children in the local playgrounds bantering in a mix of English and Nepali. There is just as much that you do not see.Thousands of young Nepalese work in the restaurant and bar industry, and when they return home to Yau Ma Tei after a long night of work, they feast at one of 30 unlicensed restaurants hidden inside the neighbourhood’s tenement blocks. Hong Kong’s proximity to Nepal makes it easy to import distinctively Nepalese goods such as buffalo meat and fermented greens. After Indian independence in 1948, the British army transferred the Gurkhas to Hong Kong, where they were based mainly in Shek Kong and at Gun Club Hill, near Jordan Road. When Hong Kong returned to China in 1997, many opted to stay put. “After retirement, they continue to stay in areas where they used to be stationed,” says anthropologist Wai-Man Tang, who has studied the Nepalese community. Yau Ma Tei proved especially popular because it is centrally located yet affordable, and there are red minibuses connecting it with Yuen Long, which is home to another large Nepalese community. While neighbourhood sleeps it comes alive: Yau Ma Tei fruit market“It’s very easy to get a job – it’s close to Jordan, Tsim Sha Tsui,” says Savita Rai, who has been working at Manakamana since 2001. The community’s density makes its easy to stage events in the Yau Ma Tei community centre or at the India Club on Gascoigne Road. “We have many events,” says Rai, pointing to a flier for an upcoming screening of the Nepalese film A Mero Hajur 2. Tang says the neighbourhood is now home to associations serving various clans such as the Rais, Limbus, Gurungs and Magar, as well as to Hindu, Buddhist and Christian places of worship. In recent years, he says, the community has expanded beyond its base of ex-Gurkhas, with an influx of domestic helpers, businesspeople, asylum seekers and religious workers. Along with the growth of the community have come various social problems. Although many young Nepalese have spent their entire lives in Hong Kong, limited educational opportunities for members of ethnic minorities have left them excluded from many professions, and gangs have preyed on young Nepalese by offering them easy money as drug dealers. From plastic flowers to residential towers, a Hong Kong storyFor decades, most of the headlines about the Nepalese community have fixated on gang violence and social problems. But there is much more to the community than that. Tang says that as the Nepalese population puts down roots, it is gaining more economic and political clout in Hong Kong. Savita Rai’s years of work at Manakamana is helping put her children through their studies at an international school and the Hong Kong University of Science and Technology.